Official Synopsis: Madrid, June of 1991. Verónica is a teenage girl surpassed by the circumstances after her father died recently, her mother works in a bar all day and she must care for her three siblings, twin girls Lucía and Irene and the youngest Antoñito. Still mourning for her father's death, Verónica decides to play Ouija with her friends Rosa and Diana, taking advantage a total solar eclipse where all classmates and teachers are on the school's rooftop watching it. 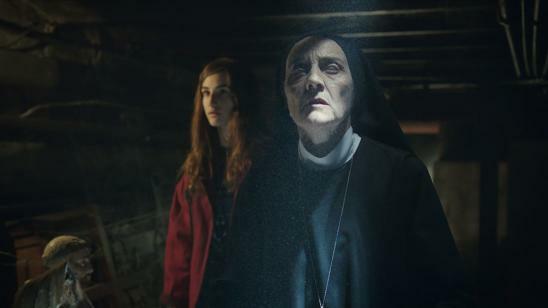 Alone in the cellar, the girls try to contact their recent deceased family members, but the session goes wrong and something happens to Verónica. She hid from her mother what has happened, Verónica starts to feel strange presences inside the house and fears that these ghosts are a threat to any of her siblings. Advised by Sister Narcisa (nicknamed by the children as Sister Death) about the sinister spirit which is close to her, Verónica looking for a way to break the contact with the ghost and save everyone, suffering hallucinations and horrible visions that progressively end up in violence and intensity that turns the whole house into a nightmare where no one is safe.